Near fine copy with pristine text. With the acclaimed novel "Penumbra, " Carolyn Haines branched out from the cozy Southern mysteries that made her name and moved into more ominous, more literary territory. She continues that exploration of the darker side of the South with "Fever Moon." Set in New Iberia, Louisiana, during World War II, "Fever Moon" begins when Deputy Raymond Thibodeaux discovers Adele Hebert covered in blood and hovering over the brutally eviscerated body of Henri Bastion, a wealthy plantation owner. In the aftermath of the murder, Adele claims to be the "loup-garou, " a legendary Cajun shape-shifter that traditionally takes the shape of a wolf, and panic ensues in this small town that already has been living under the pressures of wartime rationing and poverty. Raymond is determined to restore order, but to do so he'll have to prove that Adele isn't a murderer or a monster. 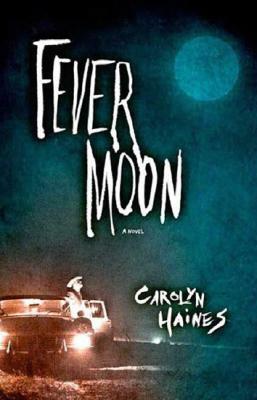 In this dark and swirling literary thriller, Carolyn Haines tells the story of a town that is caught up in the frenzy of a murder and a killer who feeds its terror to suit his own purposes.